Madrid, January 8, 2013: The reasons why Madrid should host the 2020 Games are set out in 360 pages, three volumes and 14 themes. Having submitted the Candidature File at the headquarters of the International Olympic Committee (IOC) in Lausanne yesterday, the Mayor of Madrid Ana Botella and Madrid 2020 Bid President Alejandro Blanco today unveiled the document at the assembly hall at Madrid’s Palacio de Cibeles, an event that marks the start of the international promotion of the Bid. Ahead lie eight intensive months through to 7 September, when the members of the IOC meet in Buenos Aires to elect the Host City of the 2020 Summer Olympic and Paralympic Games, the former to be held on 7-23 August and the latter on 11-22 September. Two key events in the build-up to that announcement are the arrival of the IOC Evaluation Commission on 18-21 March and the presentation of the Bid to IOC members in Lausanne in July. The unanimous government and public support enjoyed by the project was once again made clear during the presentation. Botella and Blanco, who is also the President of the Spanish Olympic Committee, were joined by the leading representatives of the other government institutions backing the project, namely Jose Ignacio Wert, the Spanish Minister for Education, Culture and Sport, and Ignacio Gonzalez, the President of the Autonomous Community of Madrid. Also in attendance were Miguel Carballeda, the President of the Spanish Paralympic Committee, and Victor Sanchez, the CEO of Madrid 2020, who gave a presentation of the project. Among the many benefits offered by the Bid are the regeneration of green areas, improvements in transport, the development of renewable energies, the construction of new sports facilities, the enhancing of Madrid’s image worldwide and the creation of new opportunities for the future, particularly among young people. The File states that the Games will be staged at two main sites: the Campo de las Naciones, where the Olympic and Paralympic Village will be situated, in the Olympic Park, and Manzanares, located less than 15 minutes away and home to nine of the venues. The following events will be held elsewhere in Madrid, at strategic locations highlighting the city’s rich historic and cultural heritage: beach volleyball (to be staged at El Retiro Park), volleyball (the Palacio de los Deportes), the finals of the football tournaments (Estadio Santiago Bernabeu) and basketball (Las Ventas Bull Ring). The close proximity of the venues to each other and the resulting reduction in travel time are both core factors of the project. The Olympic Village is only ten kilometres from the airport, ten minutes from the city centre and a three-minute walk from the Olympic Stadium, while ninety percent of the athletes will stay in accommodation situated less than 15 minutes from venues where they will compete. In terms of development the project has reached an advanced stage, with 28 of the 35 competition venues having already been built. Only four permanent venues and three temporary ones need to be constructed. The upshot of this strategic planning process is that $1940.41m (€1516m) remains to be invested in the project, to which must be added $192m (€150m) in operating costs (security, health, etc ). “A Games for All”: that is the strategy being pursued, one that encompasses ticket prices that give everyone the opportunity to live and share the Olympic dream at the various venues. Over 38 percent of the tickets will cost less than $50 (€39) and nearly 60 percent will cost less than $80 (€62.5), while a large number of tickets for high-demand events will be allocated through lotteries at a price of only $40 (€31.2). According to a survey conducted last September public support for the project is estimated to be 80 percent, and in tribute to all those who are backing the Bid we are committed to staging a Games for the people. These Games will promote the Olympic Movement around the globe and enhance its prestige. This objective will be achieved by attracting capacity crowds to the venues and by harnessing the many wonderful assets that Madrid has to offer, such as its rich cultural heritage, great food, fantastic climate and the passion of its people, all of which combine to make it one of the world’s great tourist destinations. No less important in making this goal a reality are the large audiences the Games will attract thanks to the time zone Madrid is situated in, the implementation of a SMART management model and the creation of a long-term legacy offering major economic and social benefits. Some 425 copies of the File, which provides an exhaustive account of Madrid’s Olympic dream, have been published in English and French. Of these, 100 have been delivered to the IOC, with the remainder being forwarded to IOC members and international federations etc, while a further 500 copies have been printed in Spanish and English. In addition to the 100 copies of the File, the IOC was also presented with two sets of guarantees. In all, the documents submitted to it comprised of 62 files and more than 20,000 pages, packed in 29 boxes weighing a total of 660 kilograms. 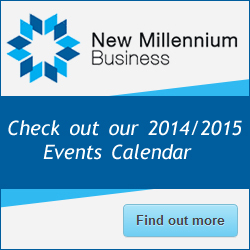 This commentary accompanied the submission made by Madrid 2020 and is brought to you by New Millennium Business as published. The election of the host city will take place on September 7 during the 125th IOC Session in Buenos Aires, Argentina. Madrid 2020’s delegation was led by Mayor Ana Botella; the president of the Spanish NOC and the bid committee, Alejandro Blanco; and Spain’s Secretary of State for Sport, Miguel Cardenal. 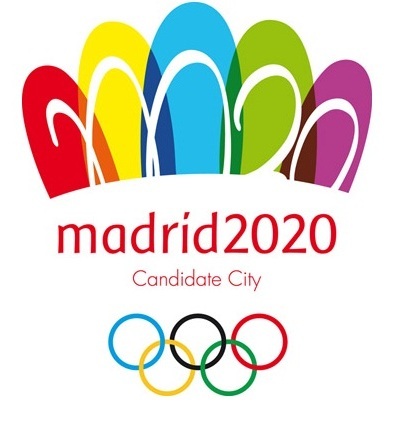 Madrid is bidding for the third consecutive Games and its candidature file reportedly places great emphasis on its high-level of operational readiness through facilities already in place from previous tilts at the Olympics.